We are now offering a referral discount of $15 to be applied when you sign up for a class at Premier if you bring a friend who hasn’t signed up for a class before and signs up for a class also. We will give both you and the friend a $15 discount at registration as a way of saying thank you for your support. This only applies to any new referrals starting today and going forward. September, December & April are double referral months, both you and the friend will receive $30 off class tuition. This only applies to class tuition and can not be used towards any other program at Premier. Team Families if you bring someone who signs up for a class or team, then you will receive the discount applied towards your tuition. Looking for a new job??? Good News!!! 1. Gymnastics Coach able to spot upper levels. *No experience necessary other then being athletic and willing to learn the sport of gymnastics. We will set you up with a knowledgeable instructor and supply you with the material you need to learn to teach the sport of gymnastics. 1. Enjoys working with children. 2. Is Positive, Dependable, Motivated, Friendly & Outgoing. 1. At Premier, we have some of the best coaches in the industry. Come be a part of a team that will allow you to grow as a coach and a place that is fun to work at. 3. Flexible Schedule… Make your schedule then fill the open time with as many privates as you like. If interested, please send your resume to Info@NJPremierGymnastics.com. When the cheerleader and gymnast in your life needs a place to train, consider Premier Gymnastics & Cheer Academy in Morganville, NJ. We offer basic and advanced gymnastics and cheerleading lessons. Specializing in toning and stretch classes, we help athletes get in shape for them to succeed in this sport. Our sports academy offers everything in gymnastics and cheerleading for all ages. We help each student develop physically, emotionally, and mentally. Our cheerleading and gymnastics classes are led by licensed instructors. Each of those instructors is able to make it all fun, too. We lead each student through every stage of their development until they are able to pass each level. Each one is marked by ceremonies to help with each student’s success. Let us train your gymnast and cheerleader to help them become the best that they can be. We consistently strive for excellence in all levels of our gymnastics programs and cheerleading lessons. We have certified gymnastics teachers and cheerleading coaches that scale the classes for student growth. Students and parents can expect the best quality of instruction. 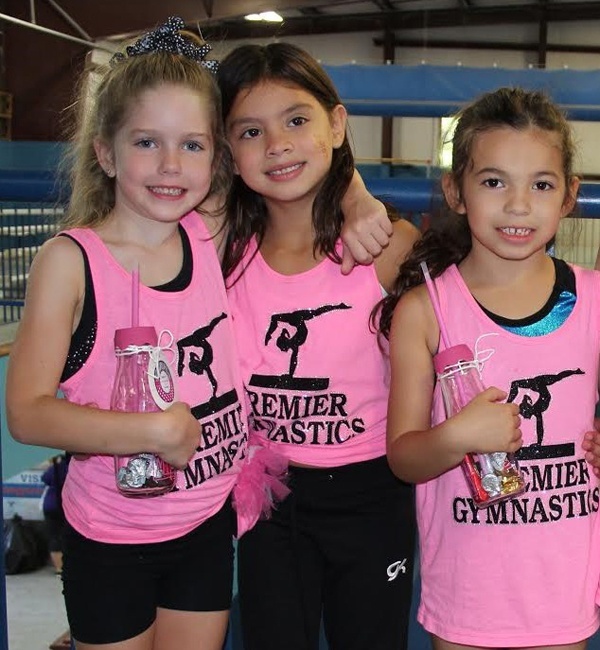 Let us help your child develop skills and confidence while achieving the level that they desire for their future in gymnastics and cheerleading.